It's hard to imagine the British landscape without the plethora of dry stone walls which provide so much of its character, especially so in areas like the Lake District and Peak District. These walls were all built for a reason, not just to look pretty for tourists! 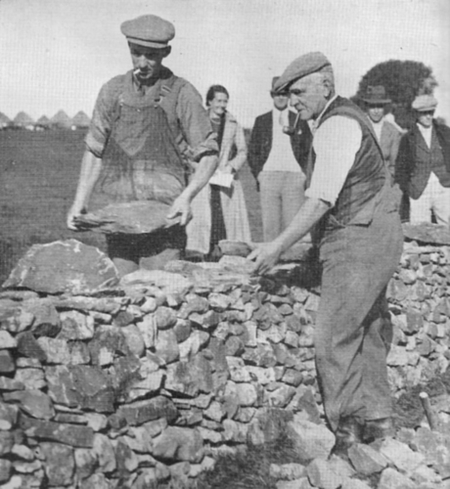 If you are interested in understanding more about the history of dry stone walls and the different ways they have been built across the country then a wonderful book to obtain is published by BTCV called 'Dry Stone Walling - a practical handbook'. This book is an excellent authoritative source of information, both for the casual reader but also as a reference manual for the working waller. On reading the book, what is apparent is that the building of the dry stone walls has evolved over a very long period of time as a nomadic hunting way of life gradually gave way to a more settled farming way of life. Man needed a way to manage his land and control his animals and the building of walls started to provide this. For this reason, many of the walls around us today are ancient, reflecting a long historic time-line and should be respected as such. They are an important part of our heritage. One of the most notable historic events to influence wall building in Britain was the introduction of The General Enclosures Acts in 1836, 1840 and 1845, giving people the right to enclose common land and claim it as their own. It's incredible to think that over 20% of England was enclosed by Acts of Parliment, with over 5000 Acts dealing with 7 million acres of land. As a Yorkshire scholar wrote.."The enclosures were a tragedy for the small man; he lost his right to pasturage on the common, lost his bit of land, and was compelled to become a wage labourer in a time of falling wages and rising cost of living. 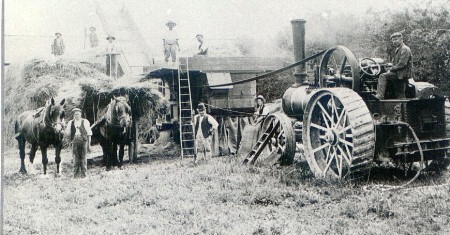 It secured the enslavement of the labouring classes". Respecting the history of what is around us is important, and for this reason when walls are rebuilt they should be done so in the regional style - it's about restoring as much as it is rebuilding. When you are next out and about in the great British countryside, take a closer look at the dry stone walls and think about just how long they have been there, who built them and why. Most of all, enjoy them.